“And with a brush full of paint as your tool, some form of mass drawing must be adopted” -Harold Speed, The Practice and Science of Drawing 1917. 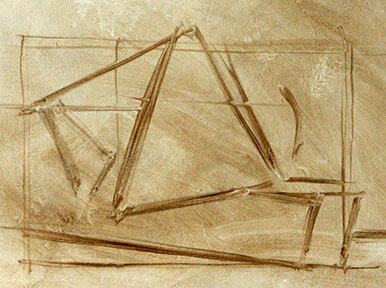 Mass drawing was a fundamental development in representational art. Originating in the 16th Century, it was a new way of seeing which brought about the enhanced realism seen in work by Velasquez and Franz Hals. Yet it was in the 19th century, through the influence of Impressionism, that its practice became widespread. It enabled artists like John Singer Sargent to achieve the bold painterly style for which they are famous. Mass drawing is essential if you want to use oil paint effectively, working directly onto your canvas, using a wet-on-wet or “Alla Prima” technique. The world presents us with an infinite variety of complex visual information. As our everyday interactions typically involve specific things, we are hardwired to examine everything we see in detail, looking for what we need without concerning ourselves with the whole picture. The way we normally draw with a pencil uses this innate way of seeing. Our eyes follow the surface of an object, moving from one point to the next as we trace its outline. This works with a tool which ends in a point – but painting is different. A fluid medium is harder to control and cannot be used to render outlines in the same way. 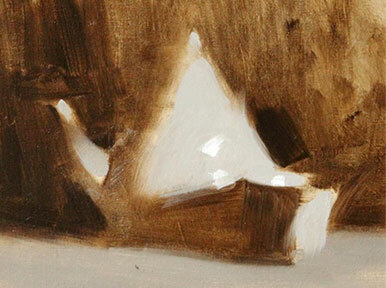 When you are pushing liquid around with a paintbrush it is easier to deal with broader shapes. 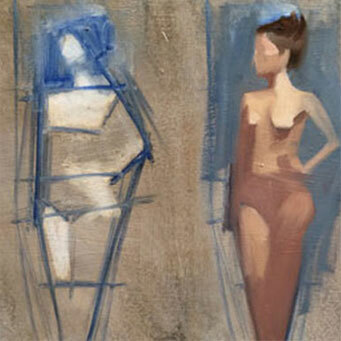 To handle paint correctly, we need to simplify our subject’s complicated appearance into larger, more manageable forms. How do we do this? We have to start seeing in a different way. Mass drawing is based on the principle that everything we see; with its myriad of intricate details, rests upon larger underlying forms or “masses”. Reducing a subject into simple masses before proceeding to smaller shapes and details; learning to see the whole before the parts, is the key to successful oil painting. 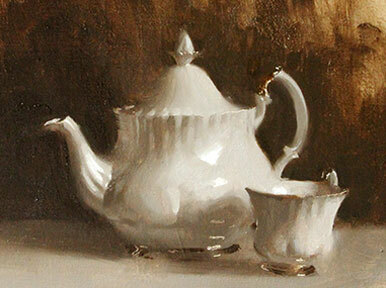 The Mass Drawing Course is specifically designed to teach artists this new way of seeing. 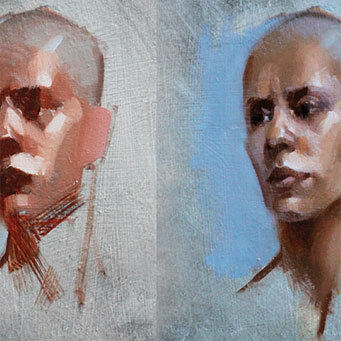 Using step- by-step exercises to show exactly how this indispensible system works, students taking part in this alla prima painting course in London will be given the tools to make the leap from drawing in line to painting with shape and form. 1. Separate your subject into simple masses. 2. Block in the colour/tone of each mass. 3. Refine transitions and add details.